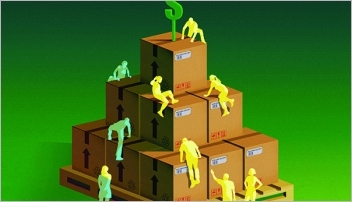 While warehouse and distribution centers (DCs) have historically been located where land is cheap and transportation networks are excellent, today’s criteria needs to include a skilled workforce ready to manage an increasingly digital operation. 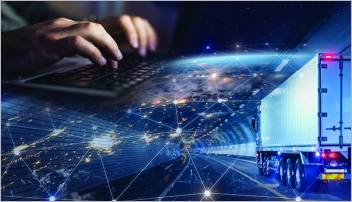 In this increasingly virtual world, retail stores may be disappearing, but distribution centers (DCs) continue to be fundamental for expanding logistics networks. Even for industrial warehousing, trends in e-commerce and nearshoring are making an impact on logistics and site selection choices. Any way you slice it, the need for rapid customer response is resulting in a close examination regarding location. For example, is building a $110 million, 762,000-square-foot DC on 71-acres in Kansas City, Mo., to create a hybrid e-commerce service model that will support the service and fulfillment needs of more than 370 CVS stores throughout the Midwest. It will open early next year and bring 360 jobs to the region. “The DC will enable our Indianapolis and Dallas facilities to take on more capacity and reduce delivery distances in the Midwest,” notes , CVS’ senior director for supply chain transformation and outbound transportation leader. To help with finding the best location for the DC, CVS hired Cushman & Wakefield as the consultant on the project. During the site selection process, criteria focused on affordable high quality labor, proximity to key roadway and other transportation systems, cost of business, a business-friendly environment and options of expanding. “We were interested in an area that would provide for multiple labor shifts and working hours,” Della Valle says. Oklahoma, Missouri, Nebraska and Iowa were first examined, which produced nearly 50 candidate site proposals. These were short listed to 15 sites in Kansas and Missouri, then seven, then eventually two sites. Ultimately, the location off I-26 in Kansas City was selected. Location and size of project is critical to giving a company all the advantages and flexibility in its DC investment. Criteria, such as those determined by CVS with the consulting help of Cushman & Wakefield, helped CVS decide these factors. Such decisions are unique, as one size never fits all for every project, although today’s trend is for mega DCs. This is particularly the case for companies such as Amazon and Wayfair, e-tailers that are building huge DCs in markets with large populations. “They’re clearly seeking locations where they can do last minute distribution,” Steele says. Site selection decisions uniquely reflect company requirements and its customer base along with its fine science of algorithms and defined criterion, says Steele. DCs serving all types of clientele have historically been located where land is cheap, access to population centers is good, and transportation networks—highways, port access, rail, and air—are excellent. “Specifically where to locate, however, is a tough question because every company is unique in what they need and what markets they serve,” adds Steele. Other variables include company size and specific customer type. Also, how many DCs will be needed to serve a market? How many products will be handled? Is there a need for one-day shipments? One hour? Does it serve just-in-time manufacturing facilities? 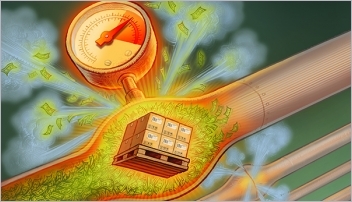 Today, transportation and labor are top cost variables examined in the process. “Labor is a huge component,” says Comerford. With U.S. unemployment rates hovering below 5%, there’s simply not a large cache of available workers. To combat this mounting challenge, some companies are trading transportation advantages for locations that have a desirable labor pool. “At the end of the day, if you don’t have people with skills, an otherwise good location is a useless investment,” Comerford emphasizes. Northeast Indiana, which spans 11 counties, is an example of a location with a solid concentration of interstates, access to rail and air networks, and proximity to key markets including Chicago, Detroit, Indianapolis, Dayton and Cleveland. General Mills and XPO Logistics recently opened DCs in Fort Wayne. “Given that Northeast Indiana is a major manufacturing location, distribution is important to moving product,” says , CEO of the . Hampering the area, however, is its 3% - 3.5% unemployment rate. “Functionally, full employment is our No. 1 challenge,” he admits. To compensate, the region has launched a non-profit workforce development initiative called Northeast Indiana Works. Its purpose is to provide public/private financial and employment resources for education and skills training to meet the needs of regional industries. It operates and staffs Northeast Indiana’s 11 WorkOne Northeast career centers, as well as oversees state and federally supported adult education programs and two youth-oriented career development programs. It also funds and manages employer-focused training programs, and helps facilitate community-based career pathway initiatives. This is particularly a concern for Kansas City region where Amazon is building its third DC—a 822,000-square-foot facility in Edgerton, Kan., where available labor is extremely limited. Providing more than 1,000 jobs, Amazon will become the 4th largest employer in the area once the facility is up and running. To address labor concerns, Kansas City Kansas Community College, along with silent partner Wyandotte County Economic Development Council and Workforce Partnership Kansas Works, have agreed to train and help provide 1,500 workers for the new DC. Especially needed are pickers, packers, UCP code readers and forklift drivers. While most community colleges around the nation offer certificate programs, associate degrees, or customized training to companies as an economic development tool, making this program unique is the fact that it crosses county lines to find workers who are working multiple jobs to make ends meet and aims to attract them to logistics jobs that pay a livable wage. Chattanooga, Tenn., is another area that’s realizing how important education is to attract DCs to the region. Companies are locating DCs in Chattanooga primarily because of its 1.5-hour distance from Atlanta. Amazon has a large DC there, and last year FedEx put its final touches on a ground handling facility there. However, Chattanooga’s labor market is tightening. , vice president of economic development at explains that helping the situation is a growing interest inside Tennessee for post secondary credentialing. He attributes this to the “Tennessee Promise” program, a landmark scholarship program introduced by Governor Bill Haslam in 2014 that offers free community college for anyone who graduates high school. The program especially feeds into Chattanooga’s logistics sector, given the area’s massive trucking industry. US Express and Covenant Transport are headquartered there. Perhaps Columbus, Ohio, offers a good example of where DCs are heading in the future thanks to increased integration between manufacturing and logistics operations—all driven by speed to market. 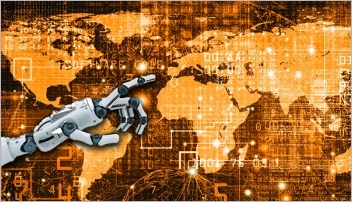 “With the amount of analytics and agile information being employed by manufacturing plants today, we’re seeing increased evidence that manufacturers are getting very intelligent in using data to drive logistics operations both inbound and outbound,” says , senior vice president of the Regional Columbus Partnership. Consequently, he sees fewer products going to DCs and instead moving directly to consumers and users. Columbus has advantages by being at the crossroads of I-71 and I-70 and is home to two intermodal yards served by and Norfolk Southern. Norfolk Southern’s Heartland Corridor carries double stack containers between Virginia’s Port of Norfolk and Chicago via Rickenbacker Inland Port in Columbus. In addition, Columbus is a one-day drive to 47% of the U.S. population and 47% of U.S. manufacturing capacity. To top it off, international air cargo carriers Cathay Pacific, Cargolux, Emirates and Etihad serve the region’s Rickenbacker International Airport. “For employers looking for skilled workers and increasingly higher labor quality as operations get more sophisticate, Columbus is in a great situation,” says McDonald says. “Not only are companies handling human resources differently today, but resources are different even as of 12 months to 18 months ago,” he says. Moving forward, McDonald says he sees autonomous technologies taking the lead. “We see the beginning of the trucking industry being transformed over a period of the next decade, even for long haul deliveries,” adds McDonald.